Last week the European Wilderness Society invited the Salzburg EVS volunteers to the Biosphere Reserve Lungau. EVS – European Voluntary Service – funds volunteers all across Europe on a range of social and environmental projects. The volunteers originated from all across Europe; Italy, Spain, France, Armenia, Latvia, Netherlands, UK. Together the EWS team and volunteers went for a short hike in the Weißpriach, along the River Longa. The Weißpriach valley was voted the most beautiful place in the Salzburg region in 2015. It was a beautiful day and there were smiles all round as everyone experienced the joy of being in nature. 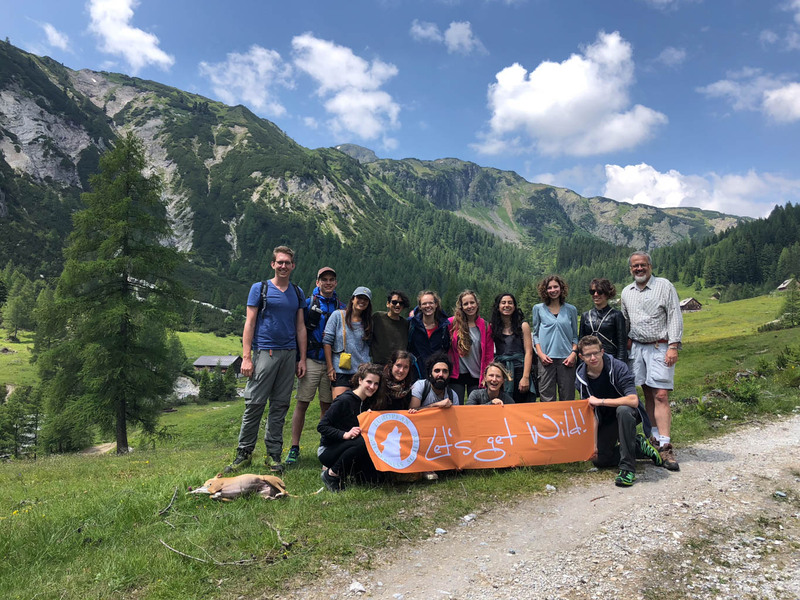 The European Wilderness Society currently has two EVS volunteers in their team, Nick Huisman, and Rebecca Hollely. They assist with a range of projects in Wilderness, environmental education and publications. We will put out a call for a new volunteers later this year, to start in early 2019. If you would like to stay up to date with our news and opportunities, please register for our newsletter.